On Saturday, October 20, 2018, we invite you, our neighbors and the residents of San Francisco and beyond to the little festival with a big view. Potrero Hill, iconic neighborhood extraordinaire, is hosting the 29th annual festival – an exciting street fair on 20th Street. We’ll have music, food, crafts, rides and activities for young and old alike. We hope y’all join us! Main and Youth Stage including performances by some of the area’s most exciting performers. Kids Area including rides, games, treats, performer stage and more. 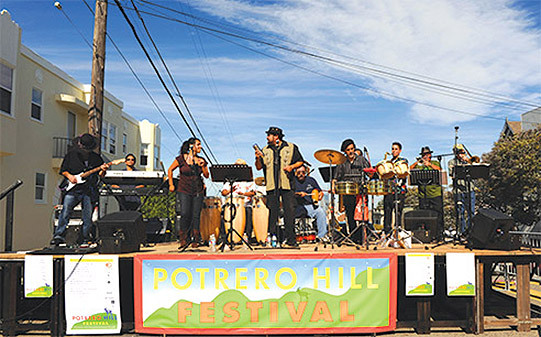 The Potrero Hill Festival will support the programs of the Potrero Hill Neighborhood House (NABE). The NABE is an invaluable community resource that provides important programs for the community, including youth and senior nutrition, employment and supplemental education programs and programs for developmentally disabled adults. Pingback: A Fall Day of San Francisco Street Festivals // Photographs. By Ted.